Battered Women's Support Services set up a jarring installation at a bus shelter in North Vancouver to help people understand what it can be like for women experiencing domestic abuse. 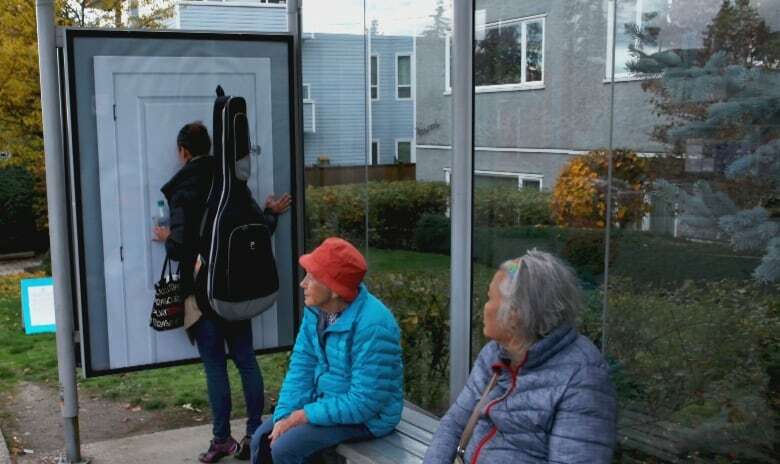 At the bus shelter at Lonsdale Ave and 27th Street, a white door with a peephole was installed where a billboard usually would be. 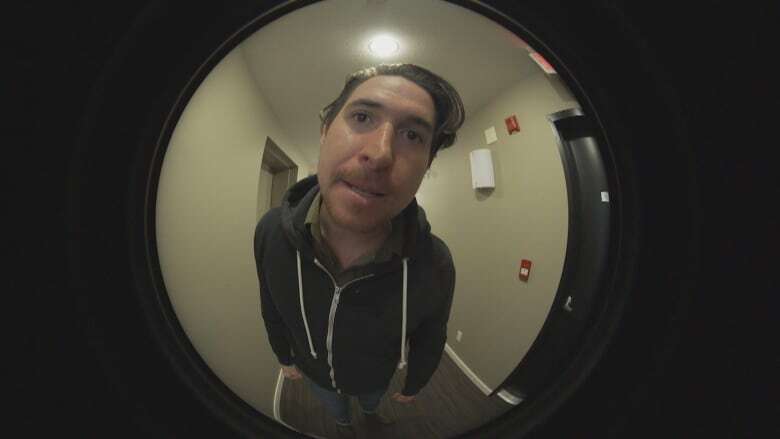 When a passer-by looks through the peephole, a video plays showing an abusive male partner banging on the door and yelling, threateningly, to be let in. At the end of the video, it gives the campaign's message: "You can walk away. Some women can't." 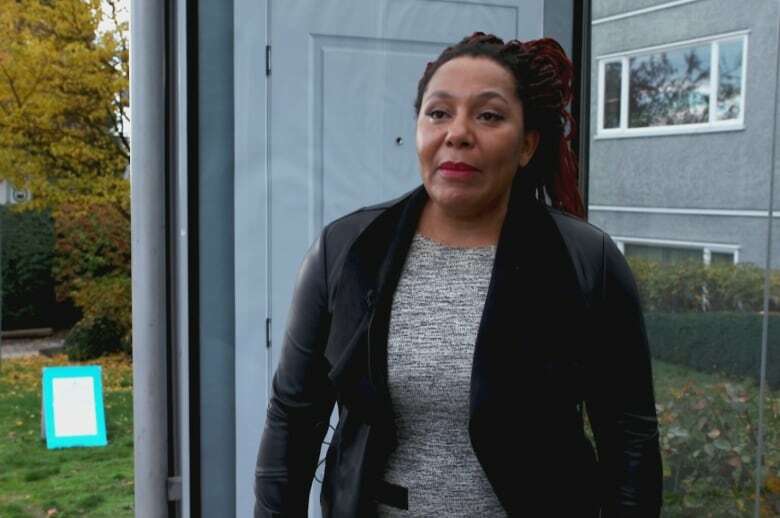 "What we're doing today is giving an opportunity for people in this neighbourhood to have a first-hand experience of what women in abusive relationships go through," said Angela Marie MacDougall, executive director of Battered Women's Support Services. "It's a way to have that visceral experience and recognition that for many women, they're unable to walk away." The installation was only in place for a few hours Friday afternoon. MacDougall said the organization's goal was to reach a diverse sampling of the public and show them the "fear and sense of threat" faced by domestic abuse victims. Passers-by who stopped to look through the peephole described it as a frightening, unsettling experience.